As you may have noticed, we’ve released new products! Our previous early AW18 designs proved so popular that we had no choice but to make more, and here’s a few ways to style up our latest designs to ensure you’re making the most out of your Winter layers. We’re all about layering, and we think you should be too. It’s cold, you want to stay warm, so we’ll dress you somewhere in the middle- looking cool. Our signature Box Logo Tees will help, and our favoured recommendation is our Mid Wash Denim Jacket (£65) to wear over a Grey Box Logo (£30) as the two together complement each other not just in colour, but design too. Our Classic Denim Jacket is subtle and relaxed, so matched with a bold box print emphasises the print- creating our usual stand out Hermano look! Oh, and we’ve expanded our collection- we’ve now got Black, White, Grey, Camel and Blush Pink to choose from. Option 2: New year, new tape! Since it was our 2018 best seller, we made it a priority to release new tape, in more colours than ever before. We’ve introduced subtle shades rather than a punchy palette, bringing you all new Olive and Camel colours. With the same classic design, our personalised Hermano side tape remains slick and casual, just how it should be. If you’re thinking of pulling off the whole set, we’d recommend to…do it. We think the full set looks great as a complete look, however if you were to mix and match, go for something like a plain tee to bring out the design. We’ve just released our first suedette jackets, carefully crafted with interior design to make our most delicate jacket to date. We’ve chosen a selection of colours, however we’ve only let you in on one so far…so stay ready, theres more from us. Our current navy suedette is easily matched with both dark or light bottoms, as the selected shade sits perfectly in between the two. Not to mention a soft lining, detailed with our iconic and sought after bee print. Wear this over a hood or tee, with denim, joggers or trousers and let the jacket speak for itself. It’s a Hermano must have! As always, let us know how you get on. 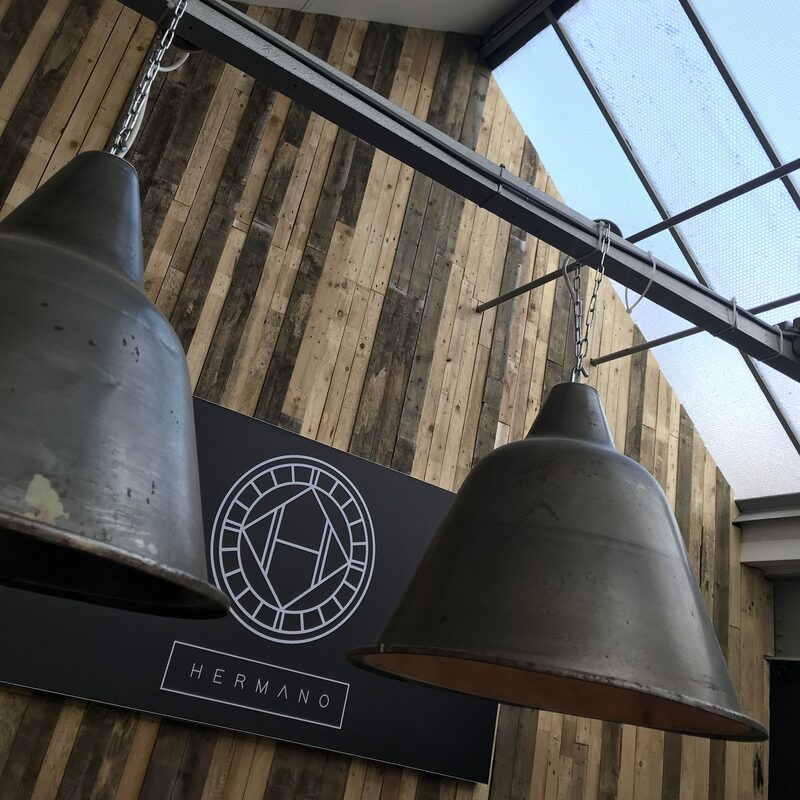 If you try any of our new styles, tag us in your pictures using the hashtag #HermanoHQ and we’ll take a look and share!